#BridalBeauty: 9 Things Girls With Flawless Skin NEVER Do & Neither Should You! First things first, guys! Not removing your make-up before going to sleep is like suicide for your gorgeous skin. Make-up products have a lot of harsh chemicals that can harm your skin if left on for a prolonged period of time. So if you want really gorgeous skin AND want to maintain it, then always remember to get rid of the cosmetics on your face. 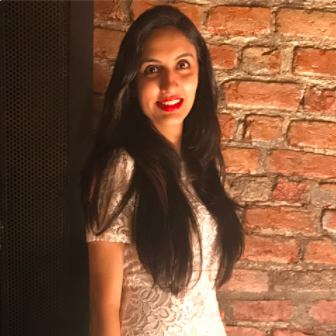 Here is an amazing make-up remover you can use for this purpose - the Lakme absolute Bi-Phased make-up remover available on Amazon for Rs 193. Plenty of water is key to gorgeous skin. 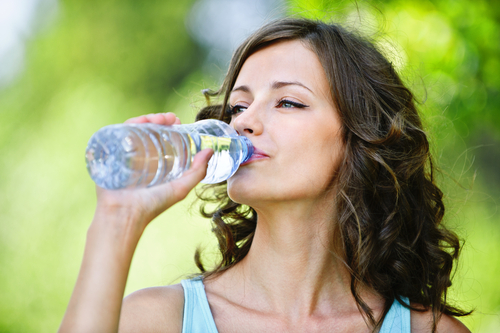 If you want absolutely clear and beautifully glowing skin then do what girls with such skin do - always stay hydrated. Drinking at least 2 litres of water everyday is a must! It’s not a myth that it helps your skin look fresh and rejuvenated at all times. Most of the times we just don’t feel like drinking water, right? But this super cool water bottle we found on Amazon for Rs 299 will make you actually WANT to drink water all day long! Yes, many people believe that sunscreen is only an important part of the summer skincare routine. But that is just not true! Your skin needs protection from harsh UV rays 24X7, irrespective of the season. You should never step out without applying enough sunscreen if you do not want premature wrinkles, blemishes and dull looking skin. Stay protected from the harsh rays of the sun with this L’Oreal Paris UV Protect with SPF 50 which is available on Nykaa for Rs 799. We know you can’t resist the latest episodes of your favourite series and you’re tempted to watch them all, but binge eating is not worth giving up your precious beauty sleep. Lack of sufficient sleep results in dark circles, dull skin and blemishes and ain’t no one wants that! Hey! You know what? We found this amazing memory foam eye mask that will help you get a good night sleep and will relax your eyes properly while you sleep. It’s available on Amazon for Rs 7,712. Your dermatologist should be your best friend, really! They ensure that you care for your skin correctly and address the hidden issues properly. Even if you have gorgeous skin, visiting your doctor is a great way not only to ensure that your skin is healthy but also to receive guidance on keeping it that way throughout. And if you’re facing any skin issues, you should visit them more often. They exfoliate alright, but not to the point of making it look and feel like sandpaper. Exfoliation helps keep your pores clean and skin looking fresh, but over exfoliation ruins the upper layer of your skin which further exposes it to problems. Do not go crazy with that body scrub there, alright? Scrub your skin clean with this L’Oreal Go360 Exfoliating Scrub that we found on Amazon for Rs 350. It’s good measure to take care of your skin and control a blemish the moment you notice it. But picking on it, trying to peel it off etc. is just not the way to go about it. You should cleanse the area, apply some toner on it and then apply a spot treatment cream to erase it completely. Any over the counter benzoyl peroxide cream can help dry out the zit and prevent it from developing any further, provided you keep your hands off it. 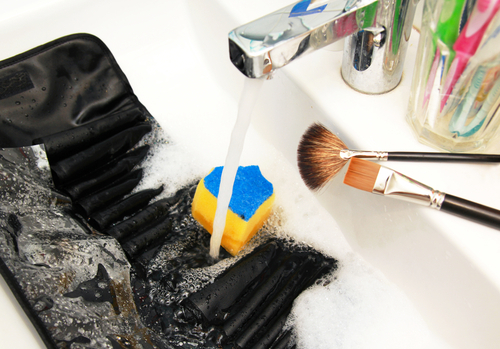 Just like cleansing and washing your face is important, cleaning your make-up brushes regularly is important too! If you do not take care of this, you might get skin breakouts despite using the best of cosmetics. Concealer and foundation brushes should be cleaned once a week with a mild cleanser like baby shampoo. Your eye and lip brushes can be washed once or twice a month, which is good enough. You can buy Johnson’s Baby Shampoo on Amazon for Rs 150. You should always be very careful of what you put on your skin. It’s always a great idea to do a patch test and see how your skin reacts to a certain product. If you think it’s not settling with you, then you should just replace it with something milder. Natural products work well with most skin types. Don’t shy away from trying DIYs occasionally too, because they can be really beneficial for your skin and wouldn’t irritate your skin too. Try using this completely natural Forest Essentials honey and rosewater facial cleanser for soft, supple and glowing skin. It’s available on Amazon for Rs 1,175!